"I’m not that into this whole ratings thing to be honest… shouldn’t we just go for who we fancy?" Valid on all performances until 20 April. Book by 20 April 2019. He’s intelligent, handsome, makes her laugh and, most importantly, has a high rating on his genetic profile. What’s not to like? Char has two degrees and is on the brink of landing her dream job but her rating threatens it all... In a ratist world where health, wealth and happiness depend on a single blood test - dictating everything from bank loans to dating prospects – phlebotomy reigns supreme. So how far will people go to beat the system? We have a modern auditorium which has been designed to be as flexible as possible in both staging and seating configurations. The seating capacity can range up to 325, in a variety of formats. 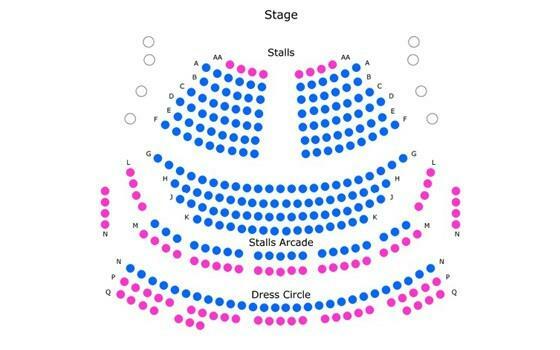 There are two main seating areas: Ground Floor (stalls) and Upstairs (circle). On the Ground Floor there is also a mezzanine level, the back row of which are stool seats: higher seats complete with footrests. Movable seating blocks also allow for the auditorium to be changed from a more traditional end-on configuration with a raised stage, to thrust or traverse layouts where the audience is level with the performance area. The forestage can be raised, or lowered to allow for an orchestra pit. The main section of stage can also be raised or lowered to change the relationship between performers and audience or to create a rake on stage, and contains removable sections for creating traps. The auditorium is fully air-conditioned.